This is a no pressure challenge where we just make a list of books we plan to read from 9/22 through 12/23. This list is made up of books from my library hold list, books to read for other challenges, books recommended by friends, and books in my TBR pile next to my bed. These are the books I'd like to get read before the end of the year! I loved Memoirs of a Geisha and Pride and Prejudice - great list! I just recently finished Pride and Prejudice for the first time and LOVED it! Happy reading! I liked Homer's Odyssey. It is a cute story. You have a great list! Thanks for commenting on my post. It looks like we have some similar tastes. I haven't read any Joyce Carol Oats. Little Bird of Heaven will be my first. Oops, Redeeming Love is supposed to be on that list too. Especially since I'm picking it up from the library today! To Kill a Mockingbird is one of my favorites. That is quite the list you've got there. Good luck with this. I tried to be pretty modest with mine, since I tend to fail at longer lists. Pride and Prejudice and To Kill a Mockingbird are two of my all-time favorites, so I really hope you enjoy them! Wow - great list with lots of variety. I think I've read about 1/4 of them, but there are several on your list that I've been curious about. 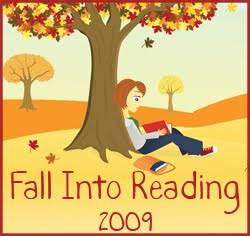 Enjoy your fall reading, and thanks for being part of the challenge! Lots of great reads here! I think I'll have to add Memoirs of a Geisha to my list if I can manage to squeeze it in. Glad to see that I am not the only one who hasn't read a Jane Austen book! :) There are quite a few books on your list that I've had on my to-read-someday list....hmmm, maybe I'll do better on my list than I am anticipating and add a few of yours! I've read eight of these on your list and have to say, not a bad one in the bunch :) My favorites were probably A Girl Named Zippy (it has a fun sequel, too -- something like And Then She Got Up Off the Couch) and Memoirs of a Geisha. You should have a really fun fall with these titles. Happy reading. You have some great books on your fall reading list. Enjoy. Excellent list there. I loved Memoirs of a Geisha. That's a great list. I recently read Pride and Perjudice and listened to the audiobook of Open House. Always fun to see titles I recognize!